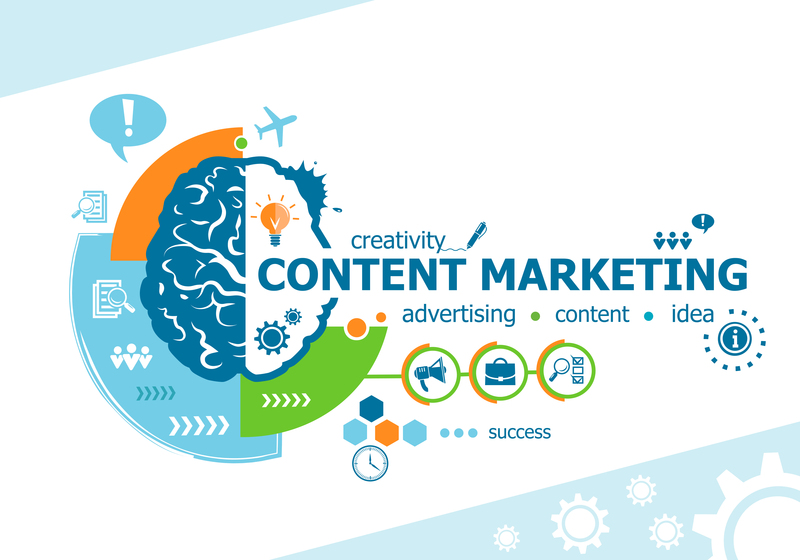 Content marketing is a marketing approach that focuses on creating and distributing informational/visual content to attract and retain the target audience and drive profitability. Enriching target audience knowledge base by sharing relevant and updated content establishes you as an authority on the subject. It enhances your credibility. Over a period, this authority and credibility win’s you trust and loyalty. Since they are taking away something each time in the form of learning, they look forward to your content. Publishing high-quality blog post is one of the simplest ways to draw in potential and retain current clients. When people come to you for services or products they ask questions, seek details and information. You are already sharing tons of information on a day to day basis with your current clients. By sharing that information in a blog post, you are reaching a more diverse audience. Possibly those that are yet to walk through your door. Not everybody likes to spend time online reading blog posts. Ebooks can be a handy tool to help you sell your product or services to such people. They need information that you are providing, in a downloadable format. They can access it in their own time, at their own pace, even when there is no connectivity. An e-book need not be a 200-page saga, think of it as a longer blog post or several related blog posts neatly packed together. Podcasts are a great way to reach out to your audience that may be pressed for time. People can listen to podcasts on the go, while stuck in traffic, or traveling in the metro. While cooking, their hands and eyes are engaged, but their ears are free to listen. Podcasts are audio files that can be used to deliver your content in a low data format. It’s almost like you’re talking into their ears! A picture is worth a thousand words. The same is true of infographics. Not everyone is a reader, and some people are visual learners. Your target audience likely comprises a percentage of these visual learners. Concisely pack all the vital information with relevant graphics and your likelihood of engaging this audience type goes up. Infographics are easy-to share on social media and can quickly go viral. Video tutorials and vlogs (video blogs) are already quite famous. They are easy to share on social media, give people the freedom to watch, rewatch, pause and download based on their convenience. These also help the audience see you, your product or service in action. Giving them a taste of what lies inside. Lifting the curtain and lending an air of familiarity. The online equivalent of the free keychain or soup bowl you get when you purchase a product. There are easy-to-make resources which you can offer to your users for free in exchange for their email ID. Each time they utilize it, they will think of your brand. These are a great way to increase brand recall among consumers. To be honest, there is no single type of content that can be proclaimed as the best. Each has its pros and cons. Their efficiency varies based on your product/service niche and target audience. How to make them work for you? Mix it up: Remember that your target audience consists of different types of people. Some are readers, some listener, and others viewers. Even though their needs may lead all of them back to you generalizing them under one stock category can backfire. Making your content marketing strategy a multi-pronged approach can help you tap into these different types in one go. For example, A blog post with relevant embedded infographic and video is a three-pronged approach and is more likely to work than, any-one single type used alone. Hyperfocus: Define your target audience clearly and identify topics that are of relevance to it. Limit your content to the subject at hand. Like doing a Q&A specific to an issue or limiting content to a problem and its solutions can benefit your business. Pick your topic wisely and create up-to-date content related to your argument. Nobody likes generalized and outdated information least of all search engines. Search engines appreciate specificity and reward it by increasing site ranking. Localise it: If you are a small business or based out of one locality try to identify and engage with your local community. Big companies have big budgets and can come up with more significant, better content for marketing. You can’t compete with them. But you can stand out by offering content that is customised to appeal to your local community, i.e., in the local language. Be Consistent: It is essential to be consistent with your content sharing. Sharing seldom will cause you to lose the audience engagement. Sharing too frequently can also backfire and may be perceived as spamming. Creating and maintaining a posting/uploading schedule keeps you on track as well as keeps your audience engaged on a regular basis. Be Current: Bots regularly check sites for updated information and the site rankings rise and fall based on how current your data is. Higher ranking directly translates into higher traffic. So keep this in mind when creating content. Keep it Clean: Present your content in a clean, palatable format. Keep the text simple and the graphics neat. Instead of ‘jargon’ use simpler language that can be understood by everyone. When using ‘jargon’ seems unavoidable, use it but explain it too. Spelling mistakes and grammatical errors negatively impact your ranking, steer clear of those. Use high-quality images. Link back to your content: Link back to your social media posts, videos, podcasts, free resources and keep them engaged. Doing this increases the likelihood of conversion. Keyword Optimization: If you want your target audience to find your site, you have to lead them to it. You do this by optimising your content for the relevant keywords. Sell subtly: The key to converting a potential user into a consumer is to sell it to them subtly. While you are providing them the desired information, offer your product/service as a viable solution/option. Plant the seed and build around it. Call to action buttons: Leading the audience to act purchase, subscribe or schedule an appointment, etc. Share across platforms: Social media is a great tool to help your content reach a diverse audience. Share your content across the varied platforms to increase reach and maximise conversion potential. Also, install the necessary share buttons to help your audience share content and help expand your reach. Content marketing is a potent tool if used efficiently. It is vital to remember that improper use of the same can lead to adverse results. Follow the guidelines listed above correctly if you are struggling to formulate your content marketing strategy or wish to improve on the existing one. I am a passionate writer, traveler, blogger, and SEO expert. I have seven years of experience in ranking websites on Google. While writing, I focus on Web Design & Development, Search Engine Optimization, Marketing, and other related fields. I love listening to Coke studio in my free time.